The American Biotech Labs SilverBiotics Immune System Support Supplement is designed to be your daily defense against germs and microorganisms. Give your immune system a boost, not only in the cold and flu season but all year long. This liquid supplement is patented using its proprietary SilverSol® technology containing an advanced nano-silver solution. 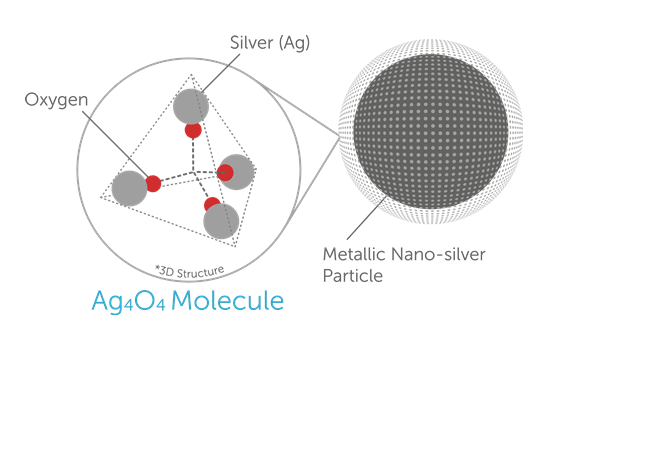 The science behind SilverSol takes colloidal silver to a whole new level. The 10 PPM nano silver solution has been scientifically tested with proven results showing it's 10 times more effective than typical colloidal silver products containing 3,000 ppm silver. In each teaspoon serving, there is 50 mcg of purified silver and because nanoparticles exhibit a silver-oxide coating, it offers multiple modes to be more effective while ingesting fewer silver particles. SilverSol keeps your body strong and the particles leave the body within 24 hours whereas colloidal silver binds to the body and can cause the skin to discolor. 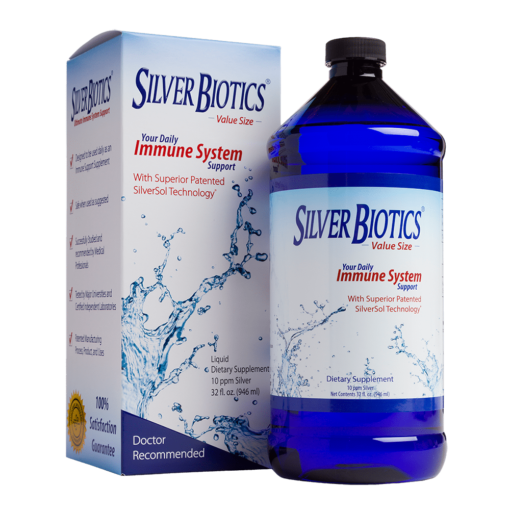 Silver Biotics Immune System Supplement comes in a value size 32 fluid ounce bottle. It's all natural with no preservatives or additives so you can have peace of mind for you and your children. Your digestive health will not be compromised either with tests showing SilverSol will not inhibit the growth of good bacteria in the gut or have side effects or reactions from taking your daily Immune System Support. There's nothing stopping you from improving your immune system so you can heal and prevent illness. Other immune enhancers you may want to check out is the Maitake D Fraction with mushroom compounds to be another natural immune cell booster.